Beautiful metallic Black Hematite tumbled stone from Brazil. Hematite is an excellent stone for grounding and protecting, harmonizing mind, body and spirit. Hematite is a stone of integration. Hematite facilitates the path to a peaceful way of being. Following the Law of Attraction – “Like attracts like,” Hematite is helpful for those manifesting dreams into reality. 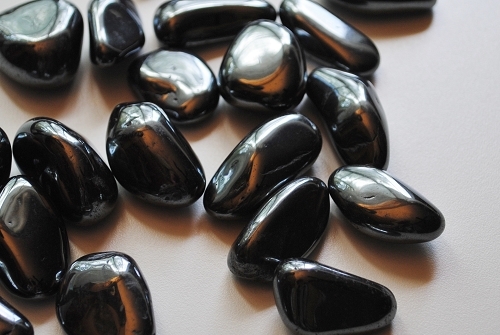 Hematite dissolves negativity and prevents negative energies from entering the aura. It boosts self esteem; calming while encouraging one to “reach for the sun.” Hematite helps one to realize the only limitations in existence are those from one’s own mind and ego. Hematite is an excellent stone for accessing the subconscious mind. 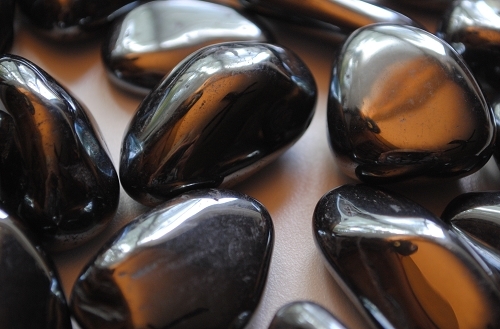 Hematite draws one’s attention to experiences that create your life. Hematite assists one to understand that mistakes may be viewed as learning experiences. 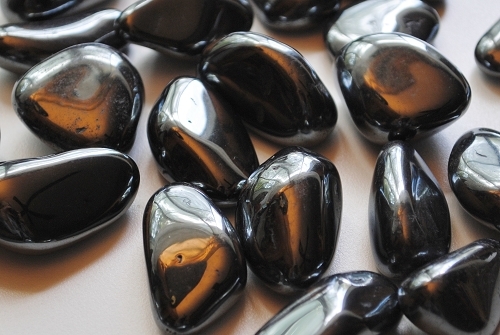 Hematite helps one to face the “shadow side” of one’s personality. 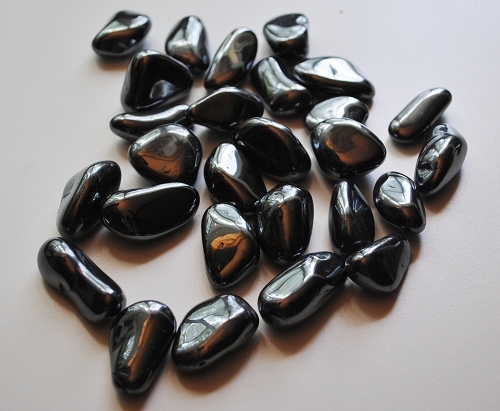 Hematite enhances will power and is useful in overcoming compulsions and addictions. Hematite treats overeating, smoking or any form of over indulgence. Hematite may be considered as a “stone for the mind.” Hematite counteracts spaciness and confusion, helping one to see the practical side and to move forward with purpose. It stimulates concentration and focus, memory enhancement, and original thinking. Hematite is a useful stone in the study of mathematics and technical subjects and is beneficial for legal situations.